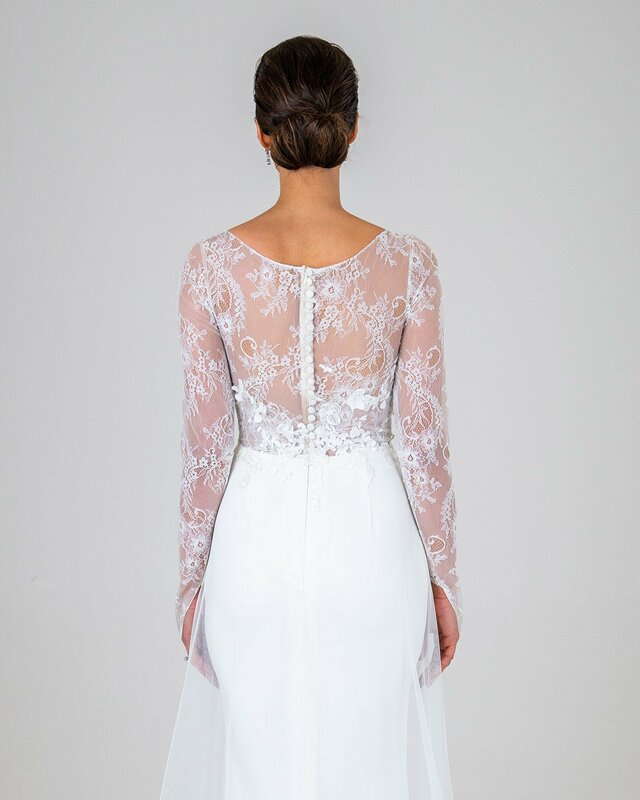 A sweet boat neck, long sleeve, laced back gown, with a simple fitted underskirt and soft A line tulle overskirt. She also features small 3D flowers and a middle finger loop for a special touch. 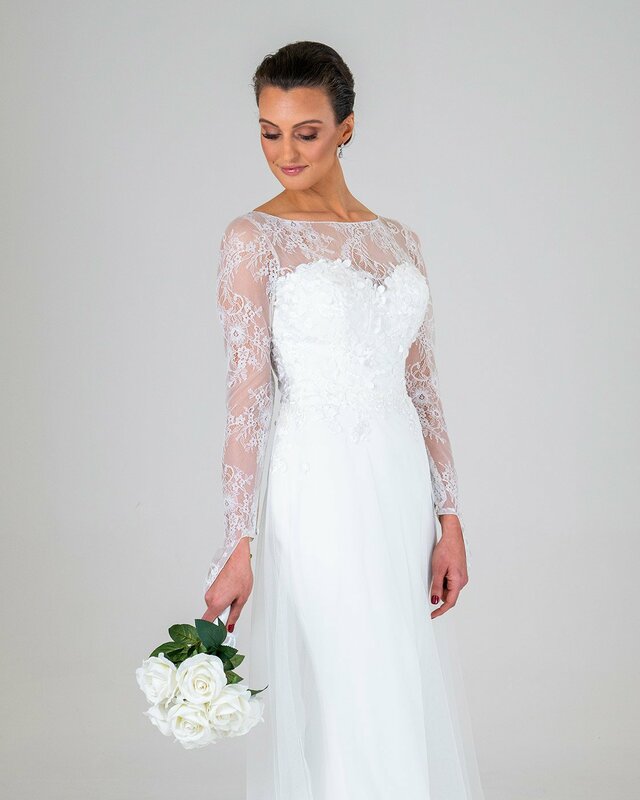 As with all our gowns any design changed can be made such as: strapless, A line or princess skirt, spaghetti straps, lower neck, capped sleeves, sleeveless, no finger loops, smaller/longer train, beading, a variety of colours, interchangeable lace and more.